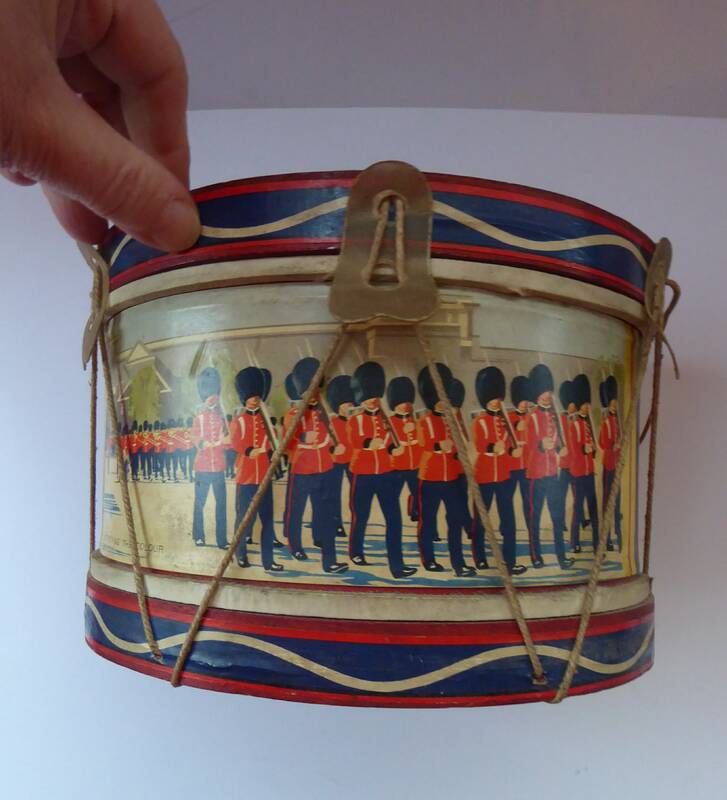 This is a really fabulous little vintage toy drum. 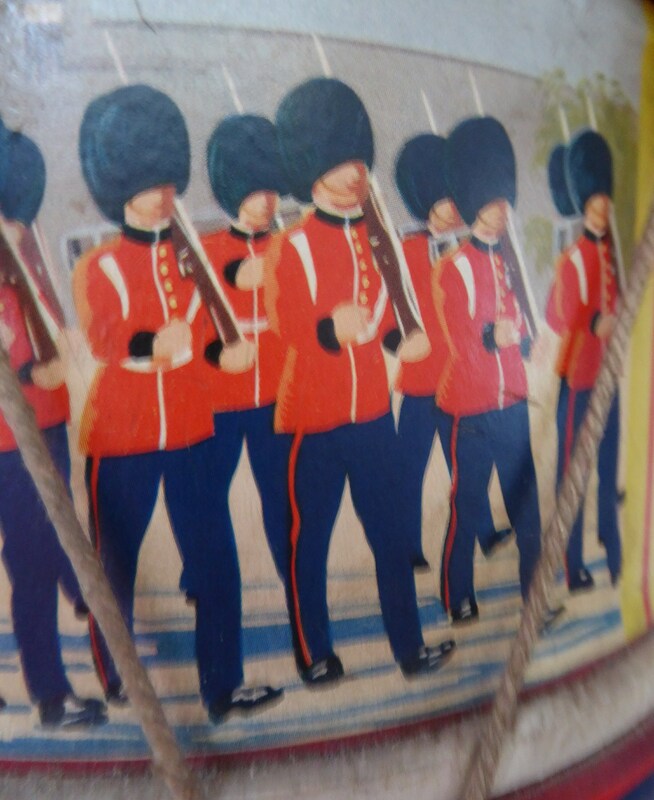 It is very unusual in that shows an image on the front of guardsmen at the Trooping of the Colour. The main body is made of metal and wood. 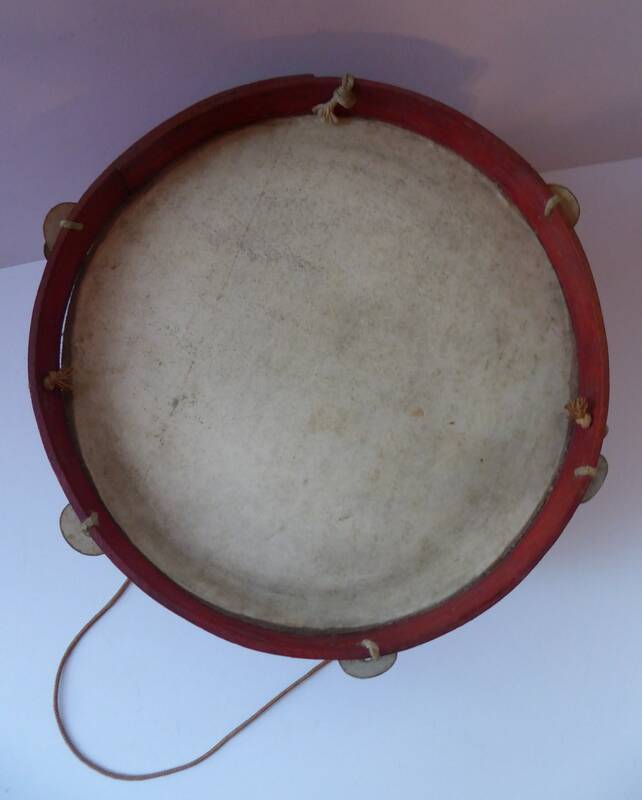 The drum skins on the top and bottom of the drum as made of thin vellum - and there is more hide, parchment or vellum adornments on the side where the strings thread through. 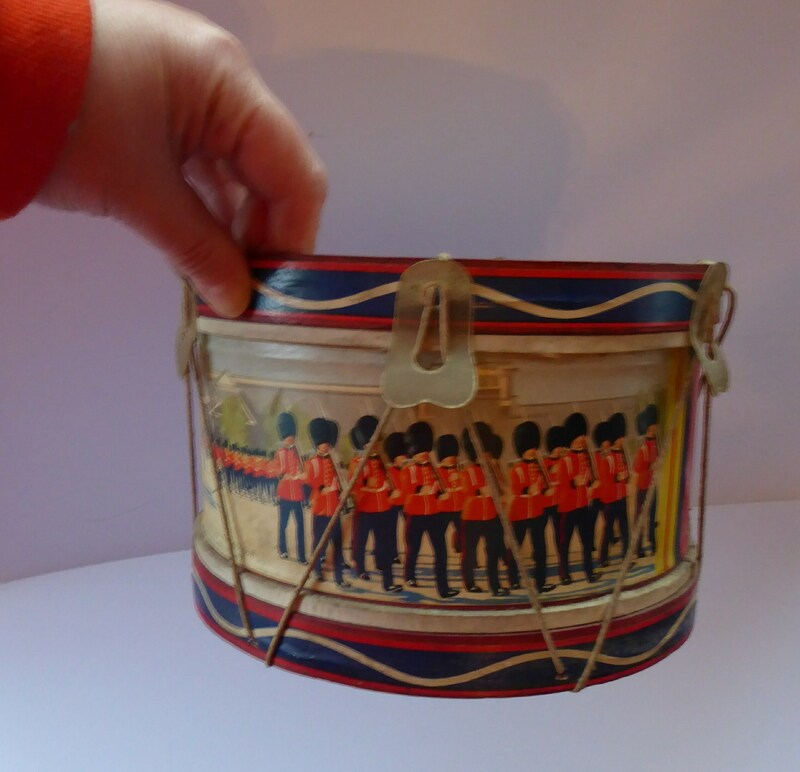 As you can see from my photographs - it is in very good vintage condition. 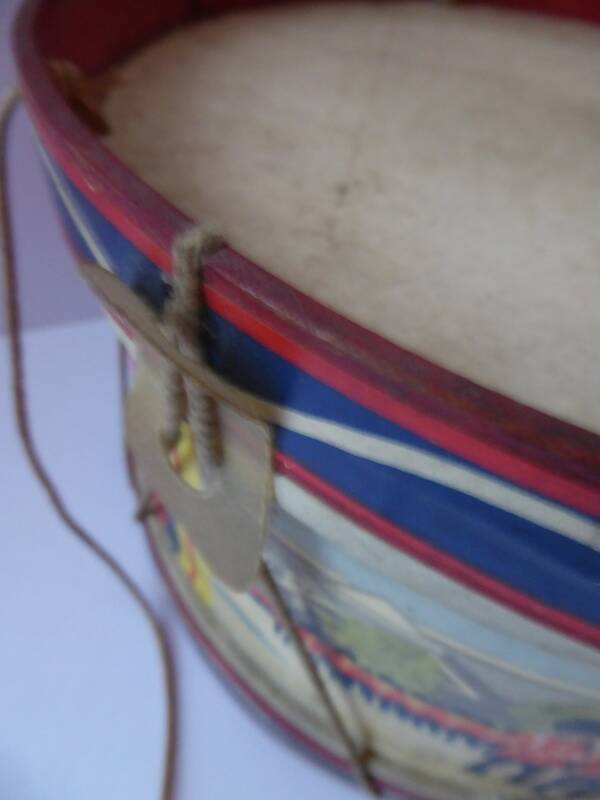 From the style and printed image on the front - I am conjecturing that it must date to the 1940s or early 1950s. It is very mid-century in its stylised design. 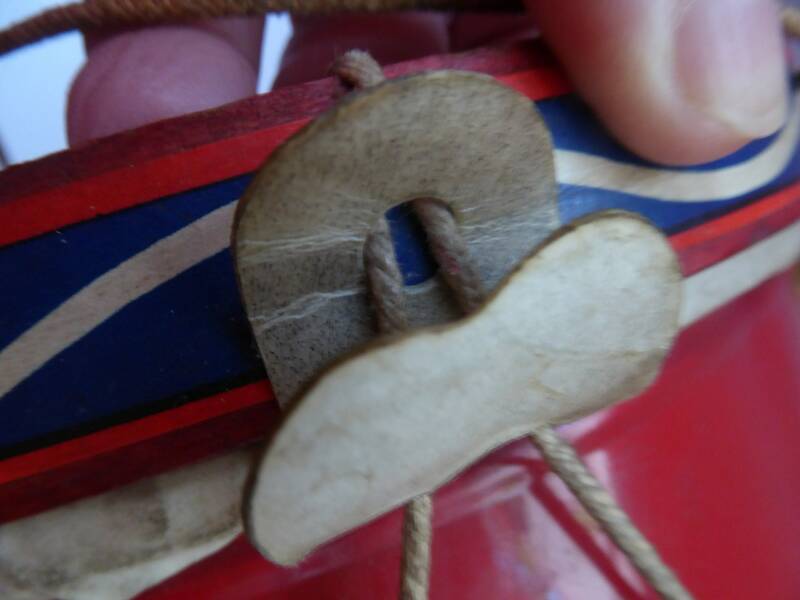 This is a very rare survivor as I would have imagined that a previous owner might have damaged either of the skins or broken the strings. 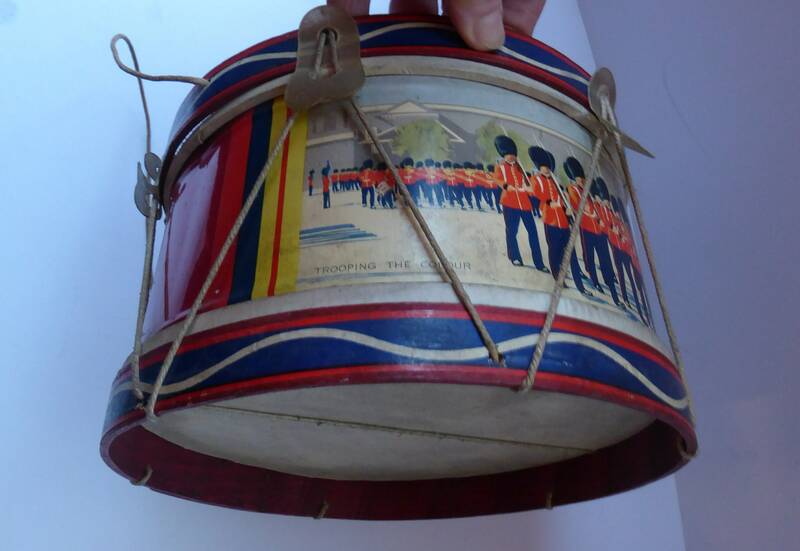 The sticks are sadly no longer with the drum - but this is more of a decorative item for an old toy shop or collector of military items - rather than to be used as a child's toy. 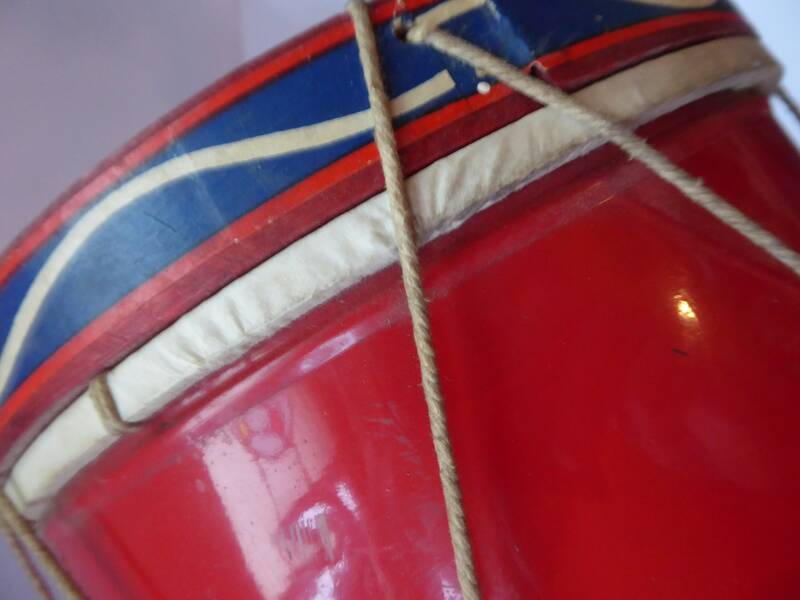 It measures about 10 inches in diameter - and has a height of 6 inches. Weight unpacked is 280 grams. 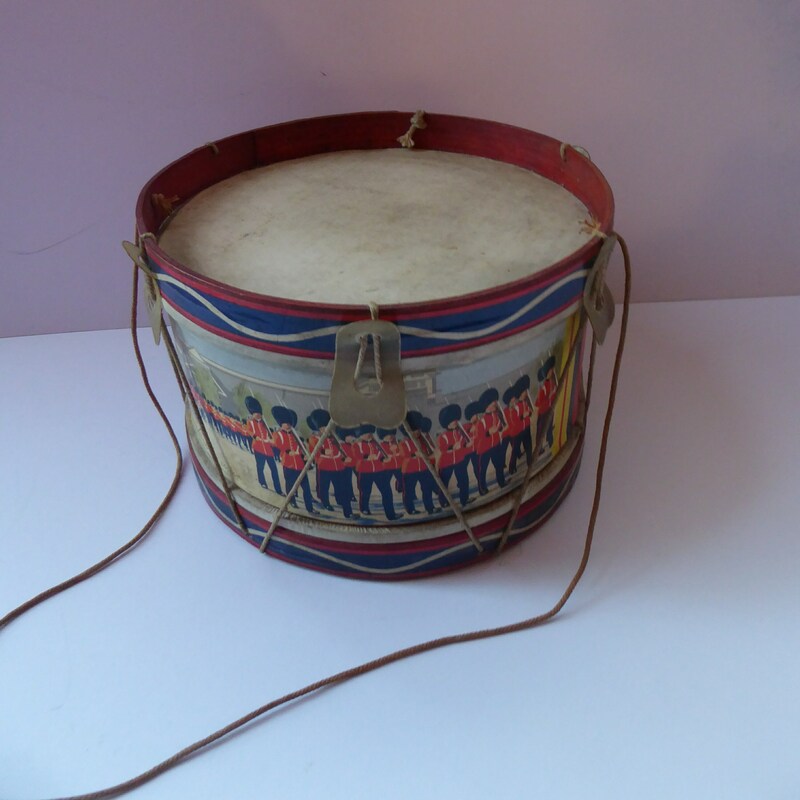 Due to the size of my drum - it would have to be sent as a medium parcel with the Royal Mail. 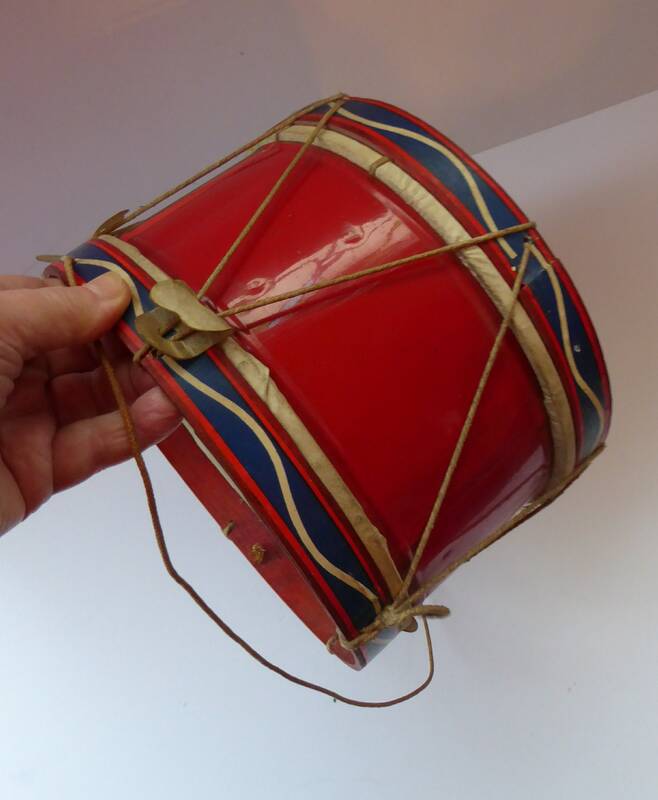 A rare item - listed at a very fair price.